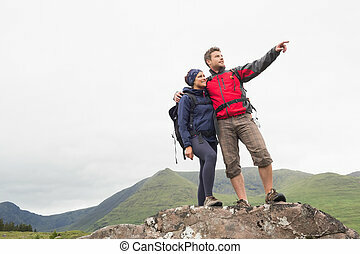 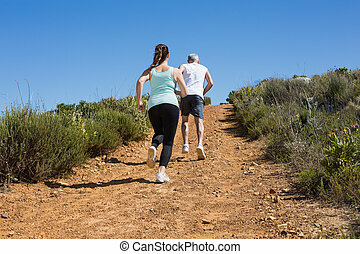 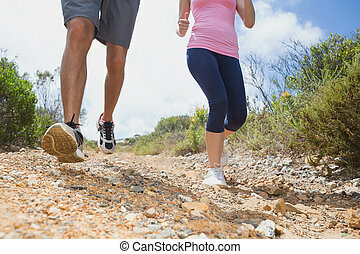 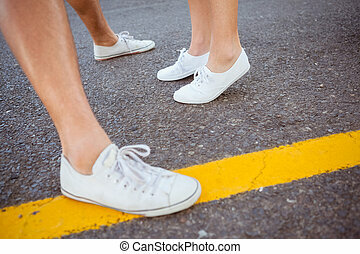 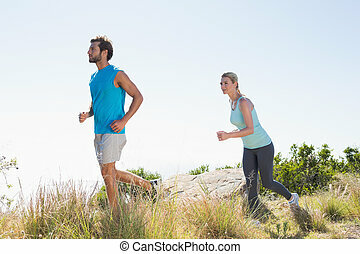 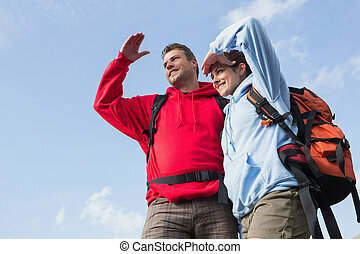 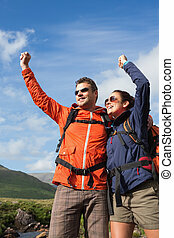 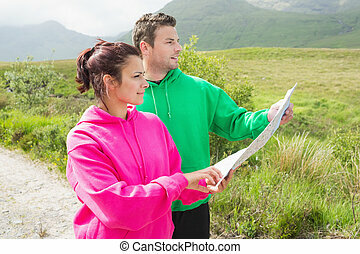 couples feet running on a trail. 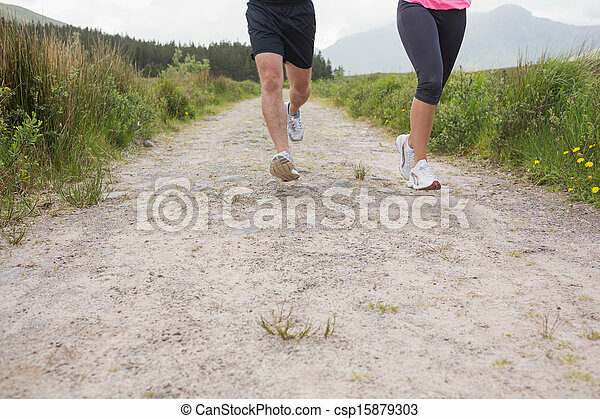 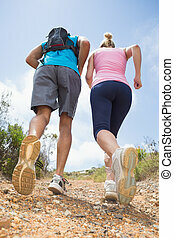 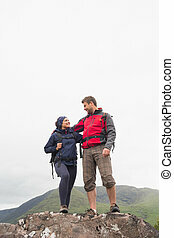 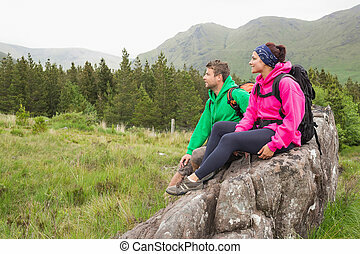 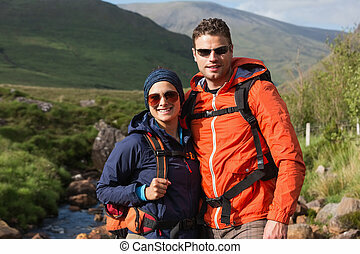 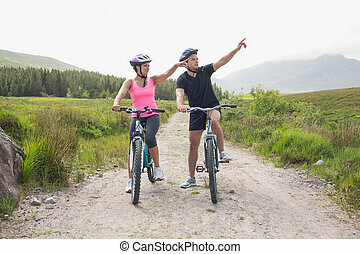 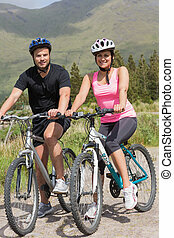 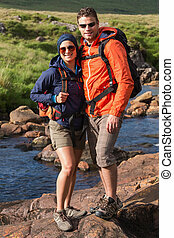 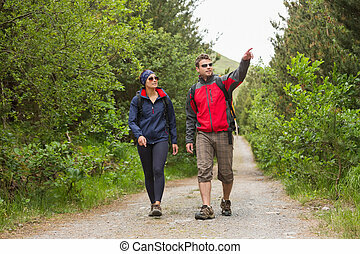 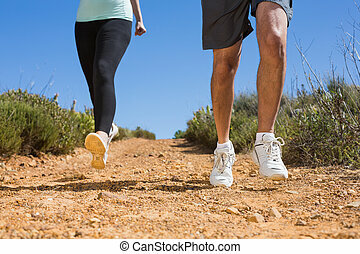 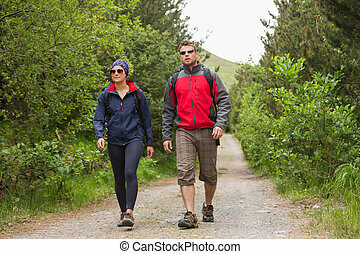 Couples feet running on a trail in the countryside. 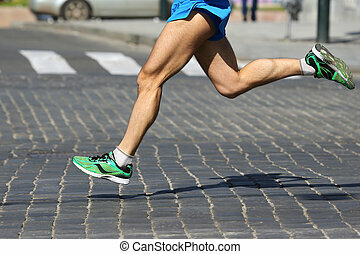 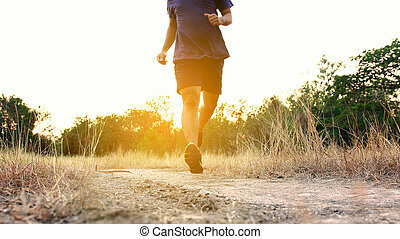 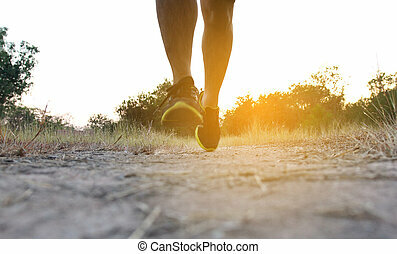 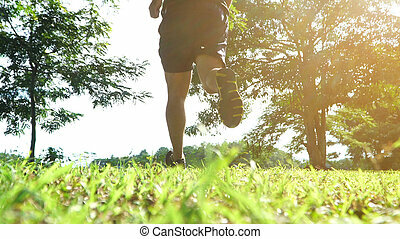 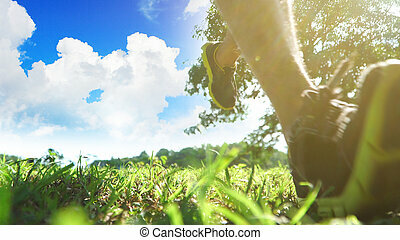 Athlete runner feet running on trail. 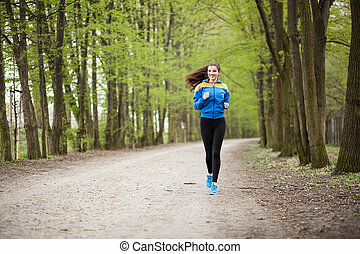 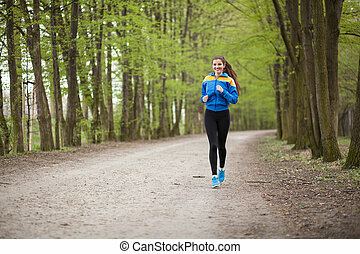 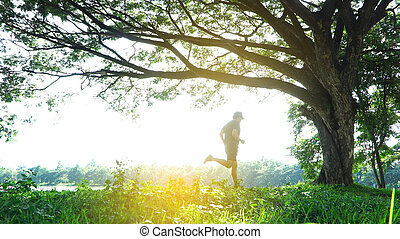 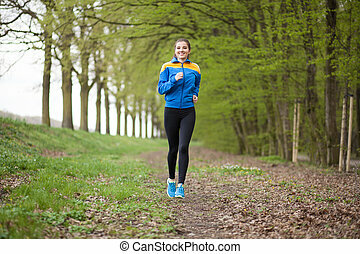 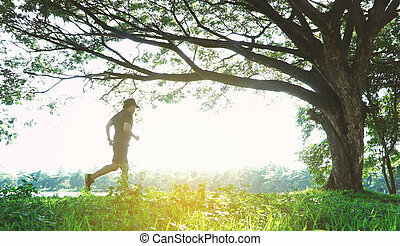 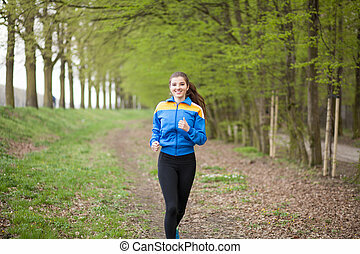 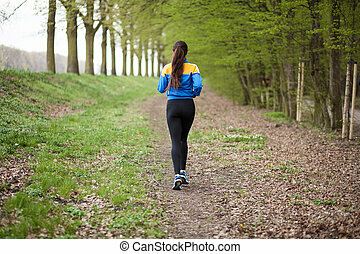 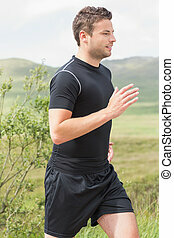 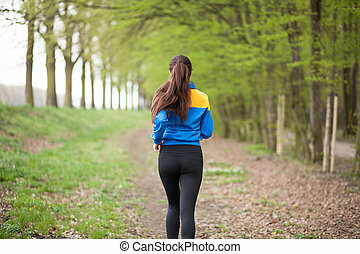 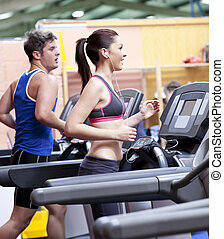 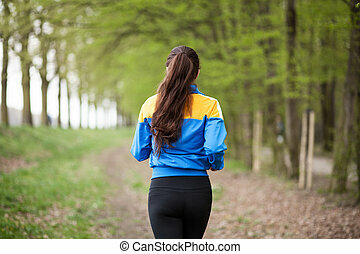 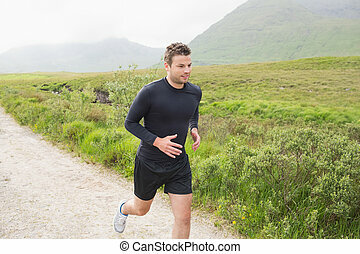 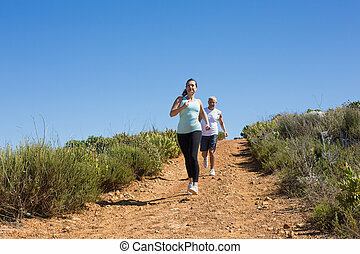 Young beautiful woman running on a trail.